100_2543, originally uploaded by pnickinson. 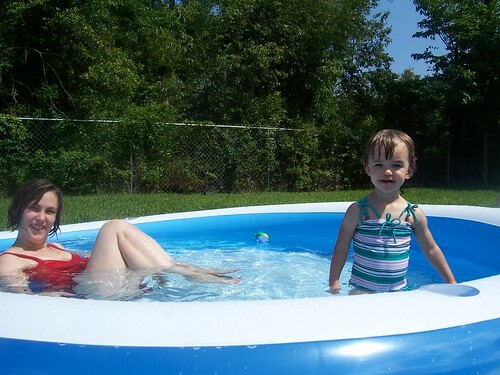 Spent the morning (er, afternoon, actually) with Mia B and Ma Ma Ma in the new kiddie pool out back. Blowing up this damn thing only required two trips to Target and one battery charger for my car. Mia and I had our inaugural swim yesterday, but she made me get out after just a few minutes. Today, we had to drag her out. Of course, she’s used to the Olympic-size pool at UWF, but this one’s big enough for me and Shannon, too. And notice the cupholders!